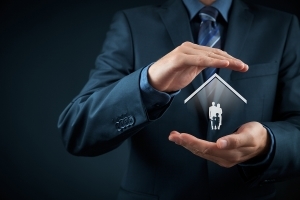 Your homeowner’s insurance is designed to provide you with financial protection against the unexpected. From electrical emergencies to plumbing leaks and more, your homeowner’s insurance policy is bound to provide you with a great range of coverage. When you contact a plumber to address a slab leak in Frisco, you may want to ask whether your slab leak repair will be covered by insurance. Plumbers can often take insurance to cover the cost of this type of repair. To determine whether or not insurance can help cover your out of pocket expenses, here is a look at the facts about slab leaks and your homeowner’s insurance. When you are deciding whether your slab leak repair will be covered by your insurance, you will first need to determine what has caused your leak. Slab leaks are defined as any plumbing leaks that occur in the pipes that are located underneath the foundation of the home. While some slab leaks can be caused by defective pipes, others may be caused by freezing and other environmental elements. Once you have determined that your plumbing issues are being caused by a slab leak, it will be time to contact your insurance company to file a claim. Typically, an insurance adjuster will visit your home to determine the precise cause of your slab leak problem. If your homeowner’s insurance covers sudden or accidental emergencies, there is a good chance that your repairs might be covered. While many types of slab leaks are covered under homeowner’s insurance, other slab leaks may not be eligible for coverage under your plan. For example, if your insurance adjuster determines that your leak has been caused by inadequate pipe maintenance, your claim may not be accepted. By working with a quality plumber near you, you can ensure that you get the best value from your slab leak repairs.